I enjoy reading other fan blogs because of the interaction among the fans. Some are pro this and anti that. Some cheerleaders and others are Debbie Downers. The dynamic is always interesting to say the least. One of my favorite fan sites is JoeBucsFan.com because the writers are well versed in irony and sarcasm. Plus, they have a way of saying things that make light of a player, coach or GM. In his post-press conference press conference, Bucs general manager Jason Licht fielded all sorts of questions. One was about barbecue pitmaster Logan Mankins. The left guard who sure seemed like he left his heart in New England, and has been pining for a place to hold a barbecue since he came to town, apparently has either had a change of heart, found someone with a grill, or both. 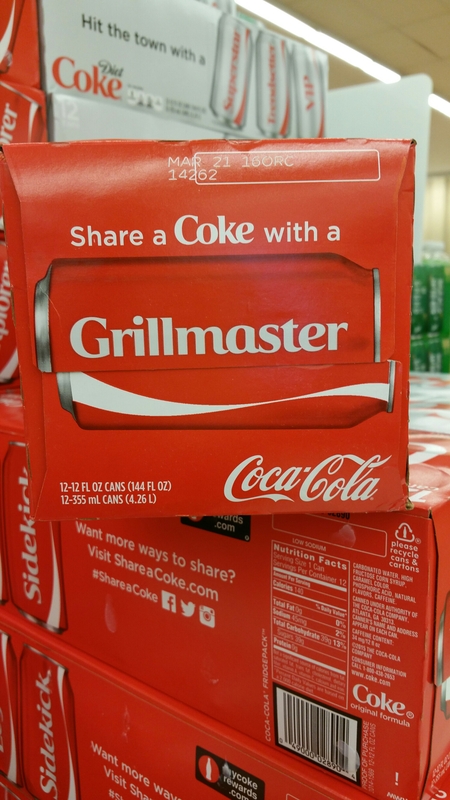 When I was shopping yesterday, I saw a Grillmaster Coke Can that I am sure JoeBucsFan.com could have a field day with! Is this what the rest of the Offensive Line of the Buccaneers should be giving Logan Mankins?